Computers are wonderful learning tools, but they can also expose children to dangers like unwanted content and inappropriate contact from adults through the Internet. Parents, educators and caregivers can limit the danger and help children learn to navigate the Internet safely. By protecting their personal information and being cautious about what they view, families and educators can reduce their risks. Adults must set rules and boundaries. Know what your kids are doing. Talk to them about the dangers. A federal law, the Children’s Online Privacy Protection Act (COPPA), was created to help protect kids online. It’s designed to keep anyone from obtaining a child’s personal information without a parent knowing about it and agreeing to it first. But even with this law, children’s best online protection is you. By talking to them about potential online dangers and monitoring their computer use, you’ll help them surf the Internet safely. appropriate online behavior, including interacting with other individuals on social networking websites and in chat rooms. Internet Safety video at BrainPop, Jr.
Antivirus software is used to detect, prevent and remove viruses and spyware, stop hacking and phishing attacks and protect consumers from identity theft. This software is essential to prevent loss of data and personal information and to keep computers and mobile devices running effectively. Most antivirus software now runs on PC, Mac and Android and iOS mobile devices and may include a firewall to prevent access to computers and networks. Parental monitoring options keep minors protected by limiting access to selected websites. 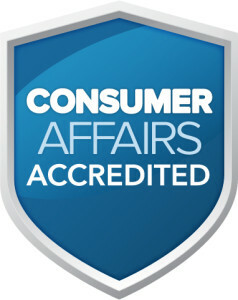 Click the logo to the left to see Consumer Affair’s Best Antivirus Guide for parents and consumers.